Entering the 1981 season as reigning World Series champions, the Phillies were hesitant to mess with a successful formula, with one notable exception: Greg “The Bull” Luzinski. 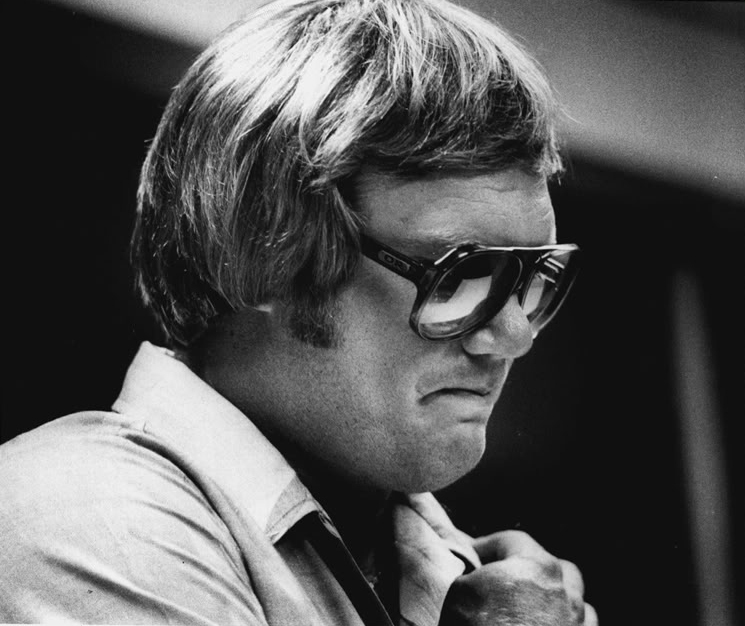 With the franchise since the 1968 draft, Luzinski had become a fan favorite, displaying considerable power from the right side. By 1980, however, The Bull was struggling offensively and in danger of losing his spot in left field to rookie Lonnie Smith. Rumors of his exit continued throughout the off-season, and intensified once the Phillies traded for outfielder Gary Matthews. A week later, Luzinski’s thirteen year career with the franchise came to an end, sold to the Chicago White Sox for $200,000. Calling himself “a very emotional person”, Luzinski fought back tears at the press conference announcing the deal and believed he would need time alone to come to terms with the trade. Phillies GM Paul Owens had grown close to his outfielder and described the difficulty of trading someone he had known for thirteen years while promising, “he’ll always be a part of the Phillies family”. After four successful seasons as the White Sox’s designated hitter, Owens’ words proved prophetic. 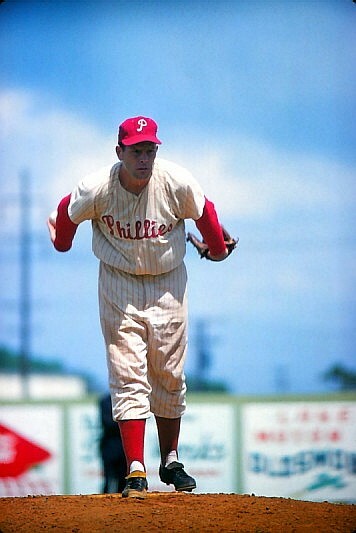 Shortly after his retirement, Luzinski would re-introduce himself to the Phillies fanbase, frequently appearing in commercials and making appearances at the team’s baseball camps. Luzinski can now be found holding court at his “Bull’s BBQ” food stand, located by the left field gate in Citizens Bank Park. Following in the footsteps of a parent is never easy, especially when your father happens to be a cultural icon. Roberto Clemente Jr. understood this better than most, and in 1984, insisted on pursing a career in baseball on his own terms. After achieving a decent amount of success in his native Puerto Rico, Clemente moved to Florida to attend community college and draw interest from the major leagues. 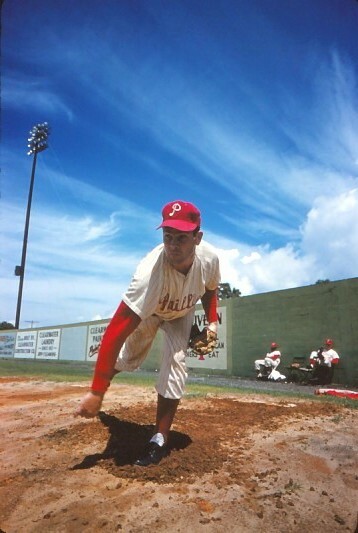 Receiving little interest from his father’s Pittsburgh Pirates, the eighteen year-old signed with the Phillies and was immediately placed in the Gulf Coast League. Team scouts projected Clemente as a line drive-hitting outfielder that could eventually develop power, but he fell well below these expectations. Struggling mightily in the rookie league, the Phillies assigned the young righty to the non-affiliate Gastonia Jets before releasing him outright in 1985. Clemente would attempt to continue his career in 1986 with the San Diego Padres’ A affiliate, but injuries and a lack of desire temporarily convinced him to set his sights beyond his childhood dream. A final attempt with the Baltimore Orioles organization was made in 1989 before a back injury left Clemente temporarily paralyzed. Today, Clemente follows his father’s legacy in another field: charity work. Since establishing the Roberto Clemente Foundation in the mid-nineties, the younger Clemente has worked with the RBI Program to bring baseball to the inner cities, namely in Puerto Rico and Pittsburgh. Most recently, Clemente has worked with his siblings on “Clemente: The True Legacy of an Undying Hero”, a book chronicling his father’s rise to immortality. History has been kinder to Joe and Dom, but it was oldest brother Vince DiMaggio that first experienced life as a professional ballplayer. A talented but unremarkable centerfielder, DiMaggio landed in Philadelphia by way of a 1945 trade. 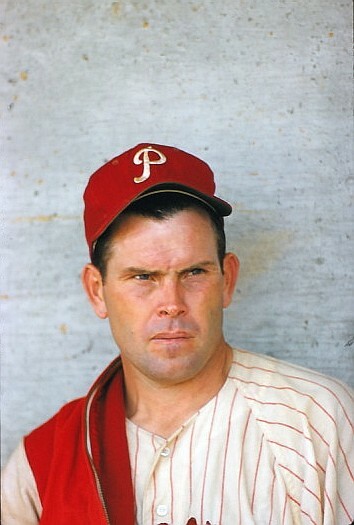 His initial season as a Phillie was productive, batting .257 with 19 home runs, but he would be traded to the New York Giants in May of 1946, after only six games with the Phillies. Retiring after the season, DiMaggio would opt for a quieter life than his brother Joe, taking work as a salesman and studying the Bible. The DiMaggios would rarely speak until making amends in 1986, shortly before Vince’s passing. The 1946 season is known as the first year of the “post-war baseball boom”. With World War II ending in September of the previous year, teams found themselves welcoming back players from service. DiMaggio was one of the many veterans on the 1946 Phillies, having built ships for the Navy years earlier. During Spring Training, this photo was staged, with manager Ben Chapman joking that he communicated with the servicemen via walkie-talkie. 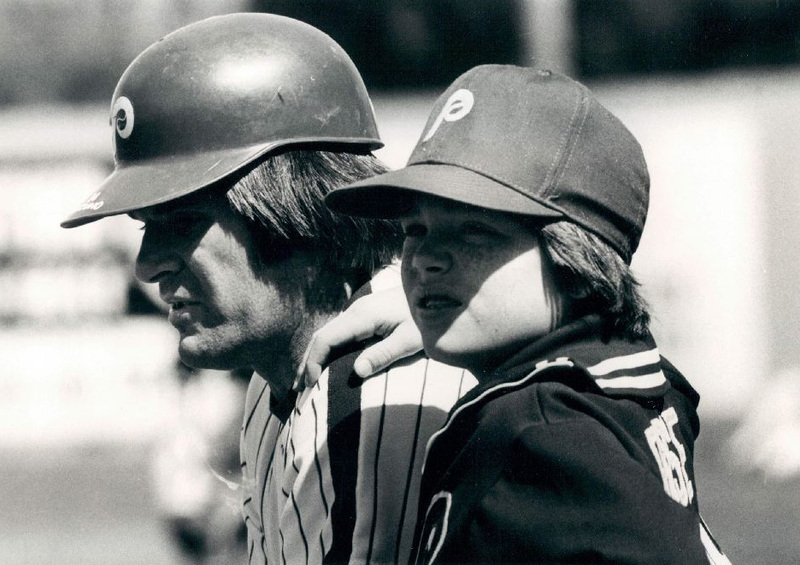 During his time with the Phillies, Pete Rose claimed the Cincinnati Reds’ resistance to kids in the clubhouse was one of his reasons for leaving. 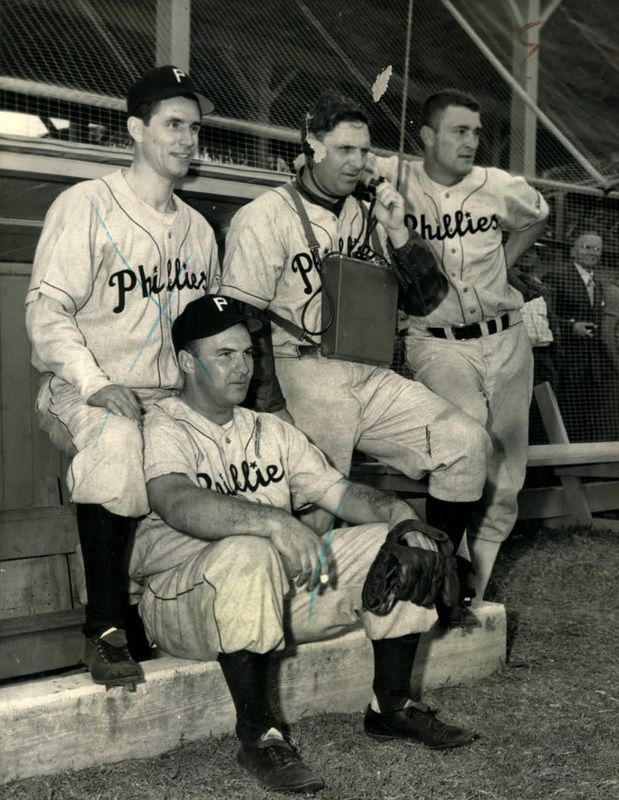 The Phillies’ clubhouse not only welcomed children, but encouraged a family atmosphere, welcoming McGraws, Boones, Luzinskis and Pete Rose Jr. into what became known as “The Kiddie Korps”. Much like his father, Pete Rose Jr. had little trouble making his presence felt. 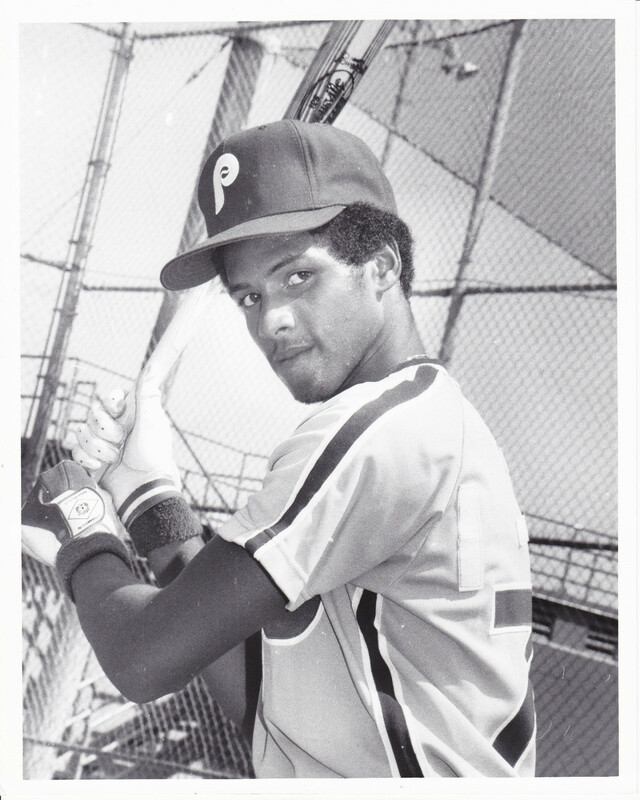 During his father’s first spring with the Phillies in 1979, the nine year-old walked into manager Danny Ozark’s office and demanded to know if his father had a chance of making the team that year. “Petey” became a regular around the club, and is seen here with his father during an exhibition game against the Tigers. The younger Rose would go on to enjoy his own lengthy career in baseball, spending a year and a half with the Reading Phillies. Pete Rose and his son Petey on the field during a 1980 exhibition. In the midst of a historic losing streak, tensions were high in Philadelphia. 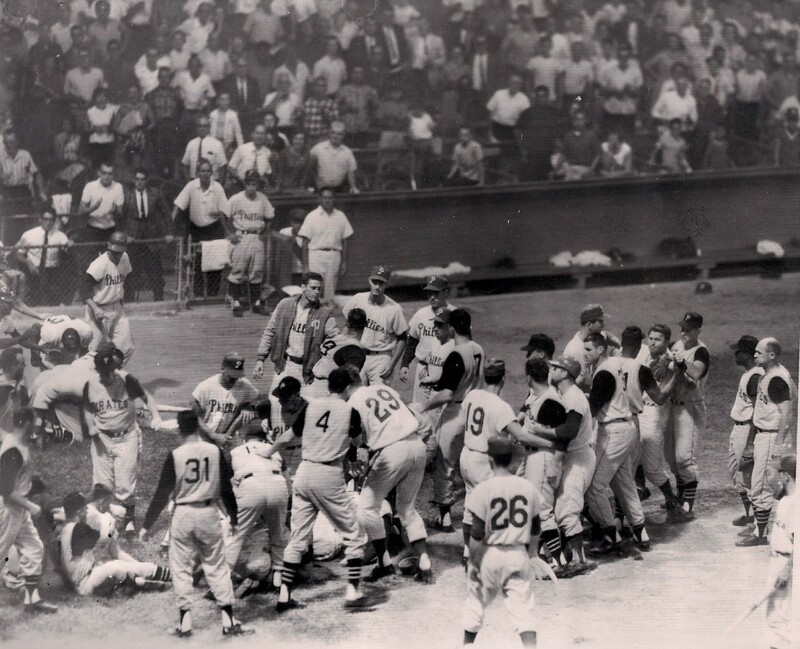 During the second game of a doubleheader against the Pirates, a brawl broke out in the sixth inning. The reason for the benches clearing has seemingly been lost, but the newswire noted that the game resumed only after police intervention. The remainder of the game was played under protest, and resulted in something the Phillies had become more than familiar with: a loss. Longtime Phillies trainer Joe Liscio had a reputation for thinking outside the box. In a 1964 article, “Baseball Digest” detailed Liscio’s use of sea kelp, wheat germ and Vitamin B12 injections in treating the team. As the article claimed, “The Phils may not win it all, but they will be excruciatingly healthy”. 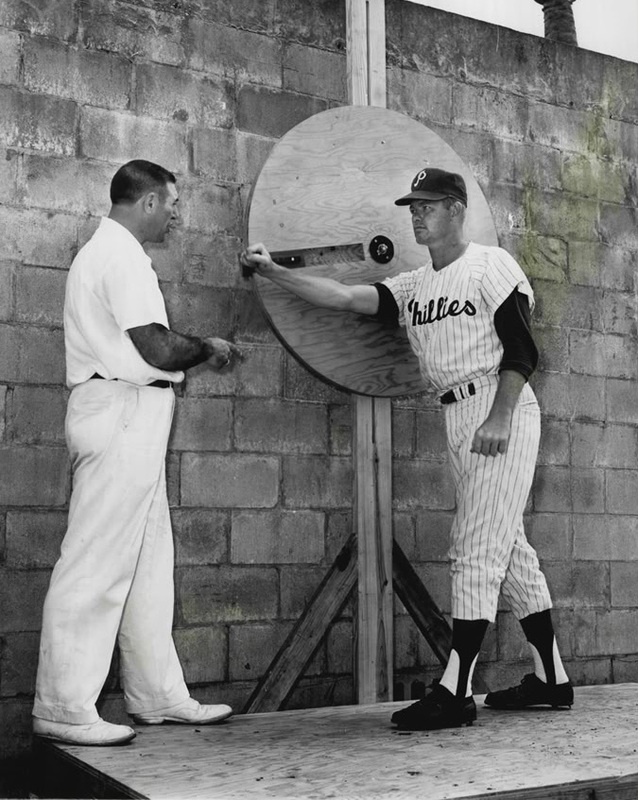 1963 saw Liscio introduce the shoulder wheel to the Phillies, designed to strengthen the shoulder and arm. In this photo, Liscio watches closer Jack Baldschun use the mechanism during Spring Training. Jack Baldschun uses the shoulder wheel under trainer Joe Liscio’s supervision.